New York Laser Clinic allows you to enjoy in Greece the experience of top Medical Laser Clinics of the USA. 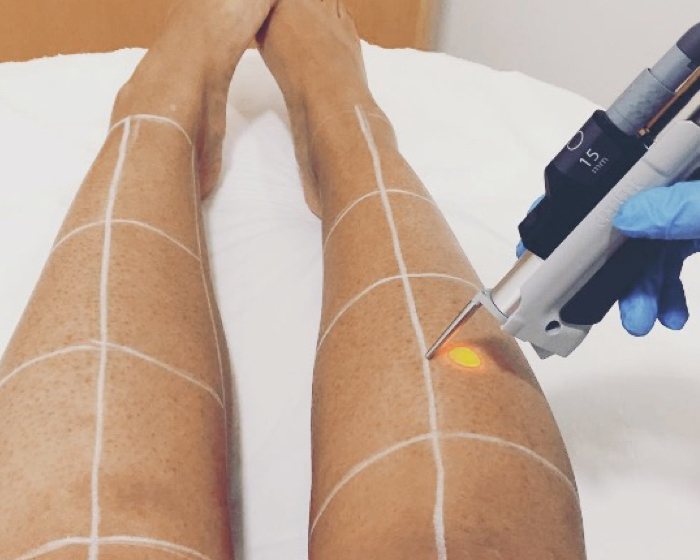 We apply the strictest Medical Protocols for Laser application and Top Medical Technology, always with the approval of the strictest US Organizations (FDA, US Food and Drug Administration). The Philosophy of New York Laser Clinic focuses on providing personalized treatments, adapted to each individual, achieving the best result with the fewest possible number of sessions. WE ADJUST THE LASER 100% TO YOUR SKIN. WE ARE MORE EFFECTIVE AND SAFER. Focused light beam, targeting only the hair and heating its follicle. 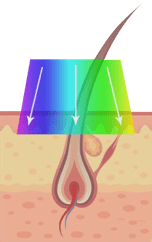 100% of the Laser energy is utilized for the safe deactivation of the hair follicle. 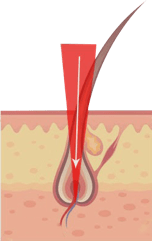 Broad beam of light, which does NOT target only the hair but all the area (including skin). Only a small portion of the light energy has an effect on hair; the rest is not utilized. The Physician adjusts Laser settings according to the features of Your skin and hair. The Physician tests Laser settings on a small area of your body to perfectly adjust the device. Fewest possible sessions, greater effectiveness as a result of proper adjustment. The Assistant uses the same Laser settings for everybody. The Assistant will only reduce Laser intensity if you feel pain. We follow Medical Protocols and procedures focusing on achieving the best result, safely. The Assistant checks the patient’s skin based on experience. 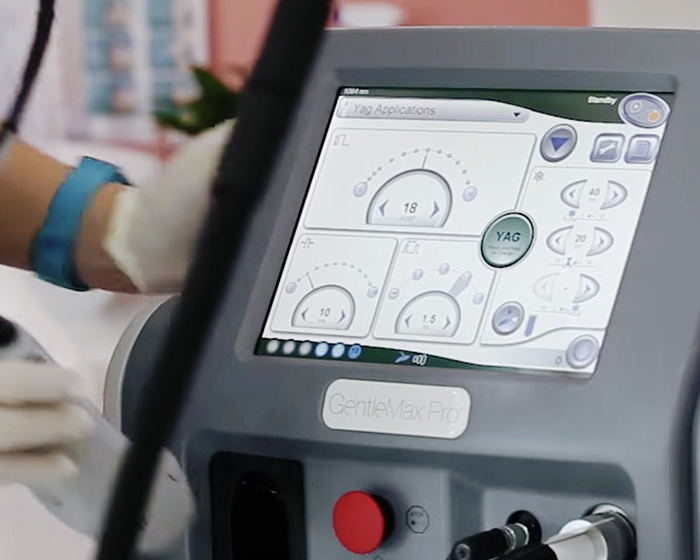 Laser application based on the assistant’s experience, aiming at reducing treatment time. Sit back in our comfortable reception and enjoy your coffee. Our specialized personnel have prepared certain questions that will help us in personalizing your treatment. We will check your answers, and we may ask you a few more questions if so required. You shall take off your clothes if covering the areas of Laser application. The attending Physician will assess your skin and hair, checking for any areas on your skin that should be protected. You shall put on the safety glasses that will protect you from the Laser beam. We will have to shave the areas where the Laser will be applied if you have not already done so. In addition, we will clean up your skin with cotton pads, as required. 08THE PHYSICIAN SPECIFIES LASER SETTINGS. NOT THE ASSISTANT. 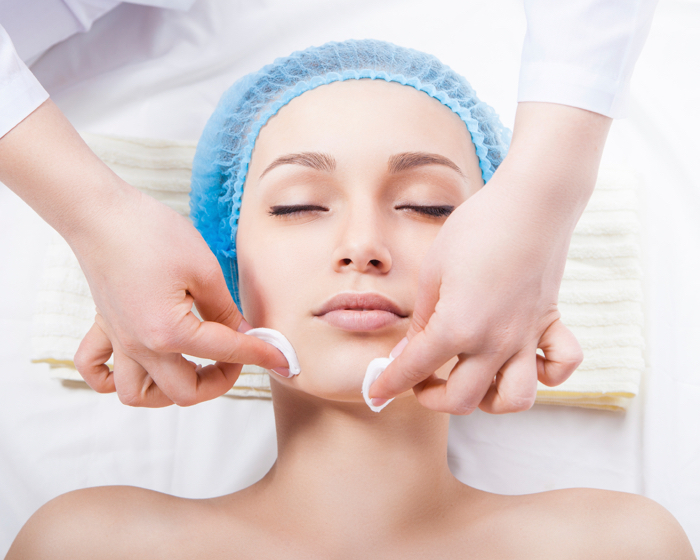 The Physician will specify the Laser settings and perform the patch test on a small area of your skin. 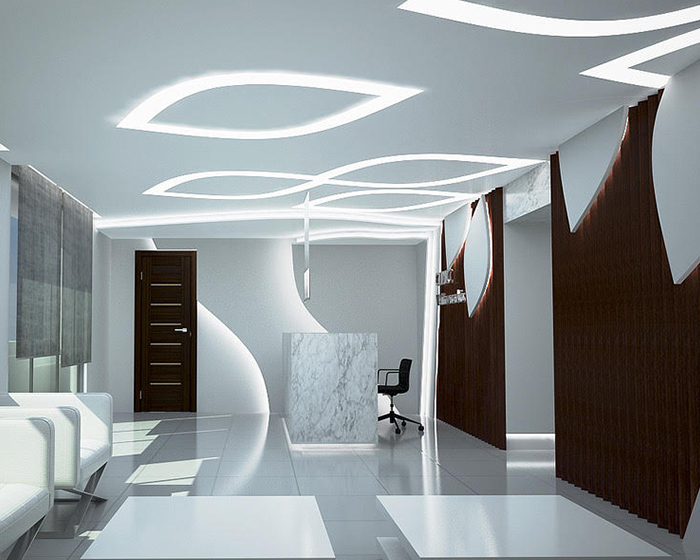 Only when Laser settings have been ascertained by the Physician, the specialized personnel will complete the treatment. We treat every millimeter of your Skin, and to achieve so, a special grid is designed, helping us to specify the target area. 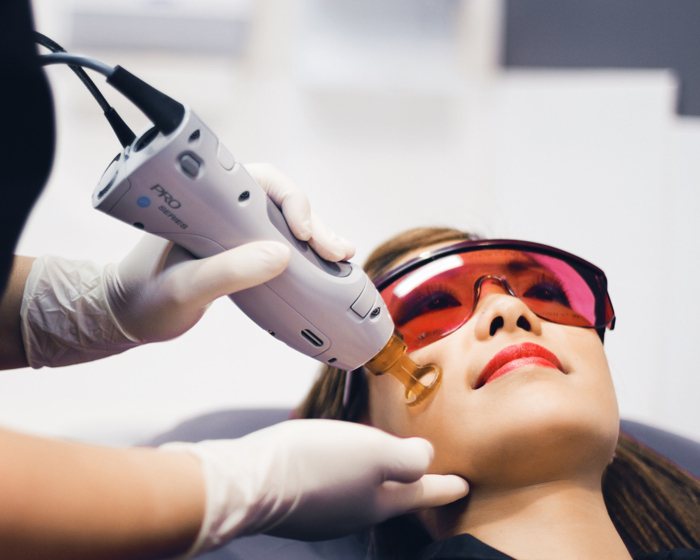 Laser hair removal is a perfectly tolerable treatment, it does not hurt. You will only feel slight pinching, and if it’s annoying, a special cream can be applied to avoid so. That’s it! You can stand up, special hydrating cream is applied on your body and you are ready to go! 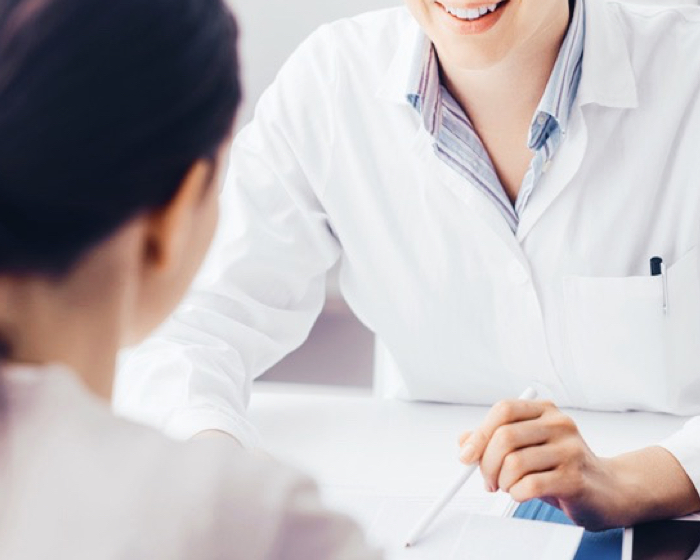 To achieve maximum result, schedule your next appointment 30 days after your first treatment session.